Candle: Light up the area! Peppermint Candy: Smaller bits of candy canes, do they really have an effect? Candycane Armor: Yup! Kinda useless but really pretty! Donation Booth: Right-Click with diamonds or gold ingots and shift right-click with an empty hand to remove. 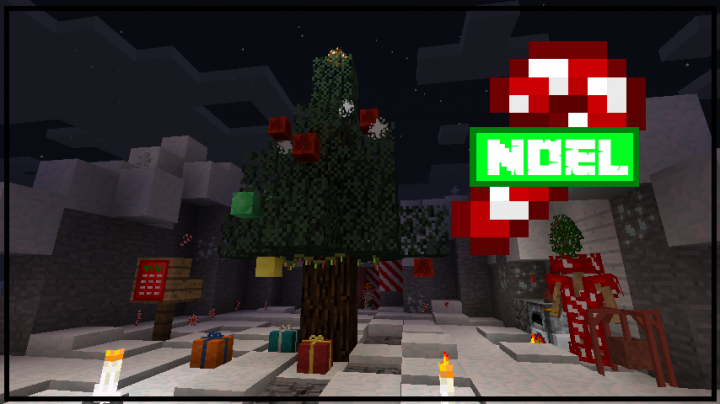 Glowstone Star: A Christmas Tree Topper. Gold Star: A Christmas Tree Topper. Frosted Planks: Planks that have been frosted over! Shrub Tree: A Charlie Brown tree. Present: Basically a lucky block, obtained by crafting them with spirit, or killing elves. 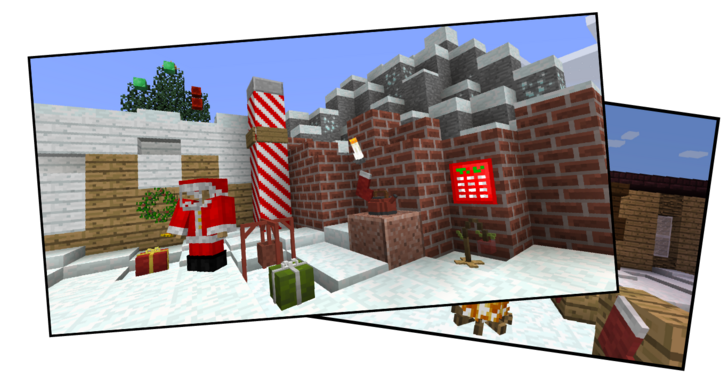 Present Trap: Disguises as a present, but contains tnt instead! Advent Calendar: Punch daily for a gift! Ore Variant Ornaments: Ornaments that are ore based. Kettle: Used to craft hot chocolate! Put in water, milk, cocoa and use a mug! Hot Chocolate: Yum! Elves enjoy this! Spirit Ore: Found in the depths of the earth. Stone Path: As opposed to dirt path? This list is no longer being updated, some recipes may have changed. Recommended: Install JEI. All recipes will soon be in-game. Hot Chocolate: Put water, milk, and cocoa in a kettle. *Note: if you come across a crash, please send me the crash report! Thanks! Its not for server then? Just singleplayer? It should be able to work on multiplayer! However, it hasn’t exactly been tested.